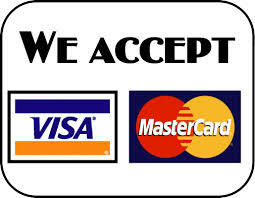 We guarentee the pricing on our quoated services. Call: 1 ( 855 ) 365 - 8494 today for a "Price Guarenteed" Carpet, Area Rug and Upholstery Quote. 1. Inspect of your floor coverings and furnishings to determine the best plan of action for cleaning your Carpets, Area Rugs and Upholstery. Carpets, Area Rugs and Upholstery. 3. HEPA Vacuum and Spot and Stain Pre-treat those problem areas as needed. 4. Pre-apply cleaning solutions and allow proper dwell time to loosen contaminates and soils. 5. Rinse and extraction with clear water. Ensuring cleaning solutions and soils are removed with the rinse water. leaving a clean, residue-free surface. 6. Re-treat stubborn spots and stains untill as much as is possible has been removed. 7. 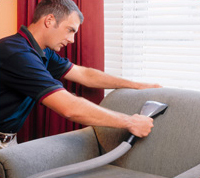 Use a Carpet Rake after cleaning Carpets and Area Rugs, and Upholstery Brush for Upholstery. This aligns fibers for an even appearance. 8. Apply carpet protector and deodeorizer (when requested in the quote). 9. Place furniture back to its original position. and are included in the quote. 10. Blocks and/or place foil under furniture legs to protect your carpet and Area Rugs during the drying process. 11. Leave Complimentary Booties for you to use while your carpet dries. to use between professional cleaning, minimizing spots turning into permanent stains. As the nation's leading home cleaning expert, ServiceMaster Clean specializing in residential cleaning and disaster restoration services. ServiceMaster Clean has an unparalleled reputation for service, quality, professionalism, and customer satisfaction. The company now operates in more than 40 countries and serves over 1.7 million customers through its broad network of quality services. All locations maintain the necessary licenses to conduct business in their city or county. All ServiceMaster Clean employees are screened, insured, and certified, and they are thoroughly and professionally trained. ServiceMaster Clean provides its employees with the most technologically advanced products and equipment available. ServiceMaster Clean specializes in cleaning carpet, upholstery, drapery, wood and hard-surface floors, windows, and more. A recognized leader in restoration, the company provides expert assistance when restoring homes and personal property following disasters such as floods, earthquakes, or fire. Restoration services include smoke and soot removal, odor removal, water damage restoration, and severity control, among others. 1. They will answer your call anytime, day or night, at 1 ( 855 ) 365 - 8494 . 5. 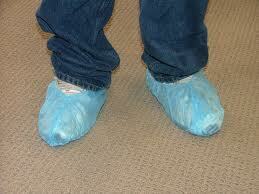 They will show they care by their professional appearance and manner and by the products and procedures they use. © 2018 ServiceMaster Restoration. All rights reserved. ServiceMaster Restore Lake Country Franchise # 8494 is an independent business licensed to serve you by ServiceMaster Restore.